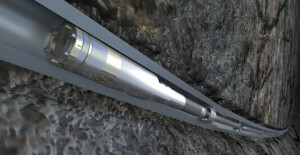 Scientific Drilling International’s FALCON mud-pulse system supports a data rate of up to 5 bps. The system has been tested in the Bakken formation and in a sandy, heavy oilfield in Long Beach, Calif.
Drilling wells in today’s complex oilfields bears little resemblance to the drilling operations of just a few decades ago. 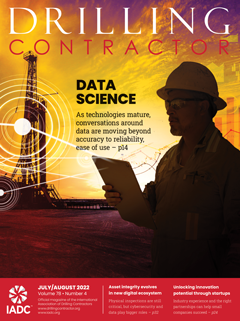 Fast-evolving technology has turned drilling into a sophisticated and scientific undertaking driven by the need for real-time data. From unconventional plays, characterized by long, deviated laterals to complex deepwater and ultra-deepwater fields, data rules. 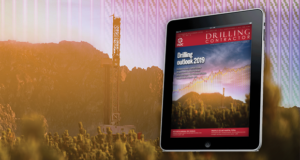 Data can help boost recovery and gain higher rates of penetration (ROP), achieve greater drilling efficiencies, lower costs and reduce damage to downhole tools. 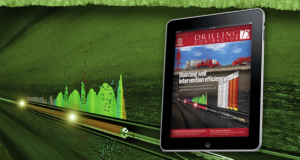 To that end, an ongoing array of measuring-while-drilling (MWD) and logging-while-drilling (LWD) tools are helping the industry to measure and transmit critical information from downhole to surface – continuously and in real time. Since their arrival on the scene in the 1970s, MWD technologies have gone far beyond their original applications of determining the direction and inclination of a well. These days, MWD tools, in concert with LWD systems, are often installed as part of the bottomhole assembly (BHA) to continuously measure borehole pressure, temperature and gamma radiation to characterize rock or sediment. The tools measure drilling mechanics, such as vibration and shock, torque and weight on bit, and evaluate formation density, porosity, pressure and resistivity to optimize well placement, keeping the bit in the sweet spot. Such measurements can be used to adjust critical drilling parameters that can lead to improvements in the drilling operation. 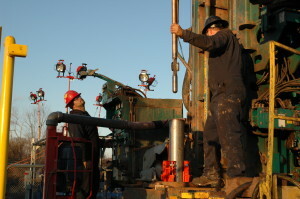 Pivotal in the development of this new-generation of MWD/LWD technology has been the shift from vertical to horizontal drilling in unconventional shale plays, where data is typically delivered either by mud-pulse telemetry that sends signals through the drilling fluid, or electromagnetic (EM) telemetry that sends radio wave signals through rock. 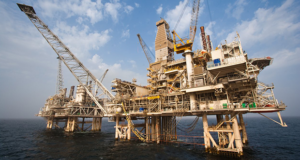 At the same time, improvements in deepwater MWD capabilities are being achieved with advances in mud-pulse telemetry, as well as the use of acoustic signals that travel through the drill string. The latter open doors to acquiring downhole data in water depths and fluid systems that can compromise traditional telemetry methods. Above: XACT Downhole Telemetry’s acoustic network has been enhanced with a “repeater” system allowing the technology to be used in deeper and higher-angle wells. Repeater nodes, inserted in the drill string at predetermined intervals based on the well profile, boost the signal and transmit data to the next repeater. Below: For a horizontal well in China, the DigiScope service provided power to the entire BHA while acquiring wellbore surveys. The system set a record for high-speed data transmission in a 6-in. hole, with 18 bits per second reaming up the section. 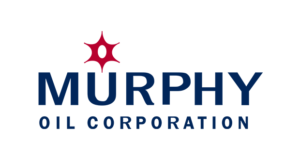 “Our acoustic telemetry technology and tool network design reduces risk and improves efficiency, particularly in deepwater applications where risk is elevated by complex well geometry,” explained Douglas Smith, director of business development for XACT Downhole Telemetry, majority-owned by Shell Technology Ventures Fund 1 and BP Ventures. The company’s telemetry technology is currently available in two forms. 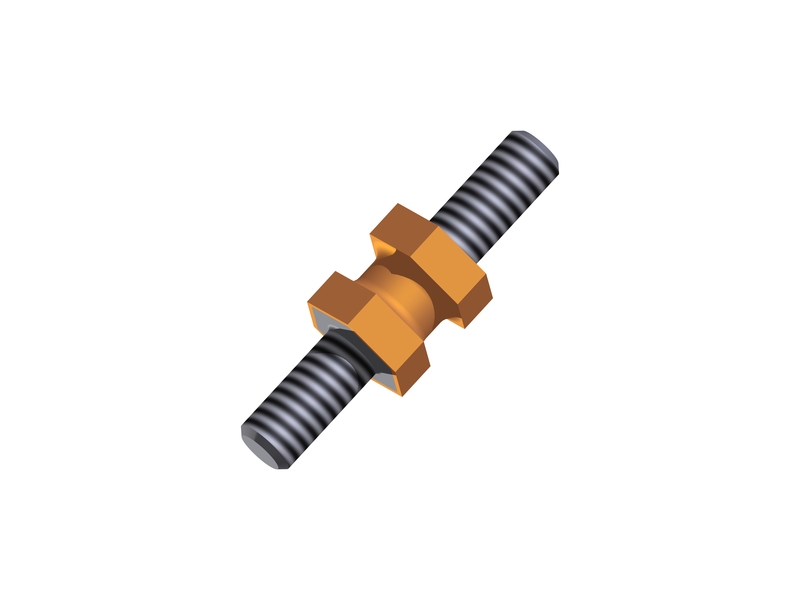 BoreSentry provides along-string, real-time MWD for pressure, temperature, compression, tension, torque and bending. SandSentry monitors downhole conditions during open-hole gravel pack/frac pack completions with a focus on pressure, temperature and weight on the service tool in the gravel pack packer, which allows operators to more effectively manage service tool position. 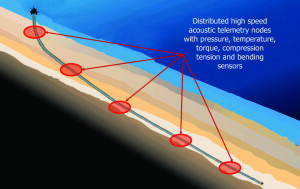 Acoustic telemetry provides a solution in deepwater operations that can be problematic for more conventional technologies. For example,water depths in those drilling environments challenge the effectiveness of EMT. And mud-pulse telemetry does not function where there is no fluid or where the fluid flow is insufficient to support pressure wave propagation, Mr Smith explained. XACT’s acoustic telemetry network uses modulated compression waves generated by the tool; the signal travels through the steel of the drill string. It operates independent of fluid flow and is not restricted by high-resistivity formations, the company said. “It doesn’t matter what kind of rock we’re in, the type of mud, or even if there is mud,” Mr Smith said. “For example, if an operator is in an air, air mist, foam or nitrogen application, an acoustic system is really the best option for transmitting the data. 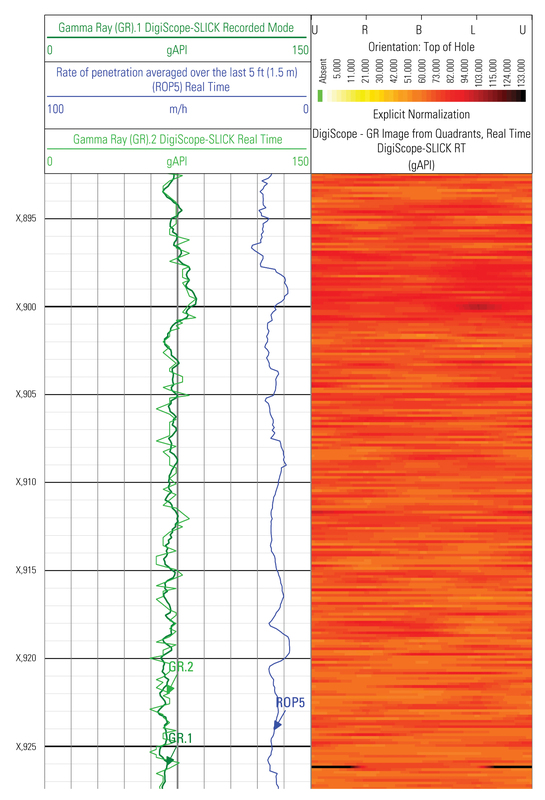 Acoustic telemetry traditionally has been limited to shallow depths due to signal reflections at drill pipe connections and the dampening effect from drill pipe contact with the wall of the borehole. The refinement of a reliable “repeater” system has allowed XACT to deploy the technology in deeper and higher-angle wells. Inserted in the drill string at predetermined intervals based on the well profile, the repeater nodes boost the signal and transmit the data to the next repeater. This “daisy chain” approach continues until the signal reaches the surface, where an electronic acoustic receiver attached to the quill of the top drive transmits the signal wirelessly to a computer on location. Each repeater is also capable of making all the same measurements as the primary tool at the bottom of the hole and streaming that information simultaneously. “With the repeater system, there is theoretically no limit to the depth we can take these acoustic telemetry tools,” Mr Smith said. The DigiScope service is designed for complex extended-reach drilling, deepwater and horizontal wells where slim-hole sizes require drilling efficiency and where transmission of downhole data can be problematic. 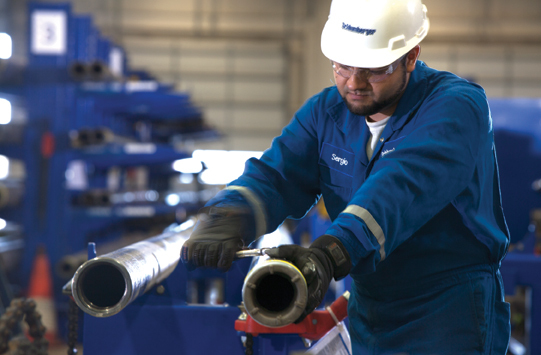 The need for increasing amounts of downhole data along with growing power needs of the BHA were the main drivers behind Schlumberger’s new DigiScope slim-hole MWD service. It expands the range of frequencies and physical bits per second (bps) available to transmit high-quality data for 5 ¾-in. to 6 ¾-in. hole sizes. It was also designed for complex extended-reach drilling (ERD), deepwater and horizontal wells where slim hole sizes require drilling efficiency and where transmission of downhole data can be problematic, according to Jimmy Varughese, MWD product champion. 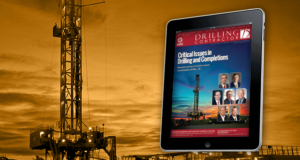 “The frontier of drilling is continually being expanded, and with more ERD, deepwater and multilateral wells, we’re also seeing the complexity of LWD tools increasing,” he continued. 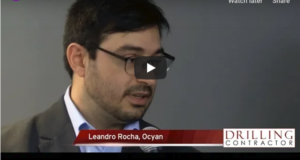 “With existing MWD technology, there is often a gap in the amount of data that can actually be transmitted to the surface.” He notes that the new service can power more tools, allowing multiple LWD tools to be run in the same drill string. 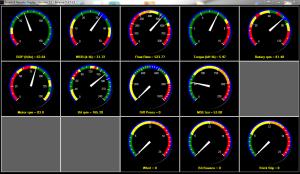 The service also has a wider telemetry range, capable of delivering data at rates between 0.25 to 36 bps. 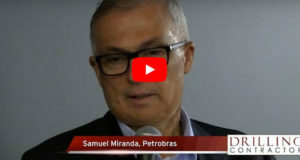 When used with the Schlumberger Orion II data compression platform, the new MWD service has achieved 140 bps in real time, he said. Above: APS’ wave propagation resistivity tools use radio waves to measure resistivity downhole to help geosteer horizontal wells. Resistivity measurements provide information to direct the bit to the sweet spot. Below: The SureDrill rig floor display shows drillers and drilling engineers where to set WOB and bit RPM to mitigate BHA damage. The closed-loop drilling optimization service, which has been tested in six US land operations, provides real-time operating set points that can also help to maximize ROP and bit life under changing drilling conditions. Mexican operator PEMEX incorporated the DigiScope service, along with a rotary steerable system, a hydraulically expandable reamer and the Schlumberger PeriScope bed boundary mapper, into the BHA to drill the 6 ½-in. section of a well in the Canterell Field. The section was drilled to total depth and then underreamed to open for expandable casing. While drilling the 5 7/8-in. section using the same BHA, the well encountered heavy mud losses, a situation that often diminishes both the signal noise ratio and signal quality in delivering real-time data. As the new MWD service was already incorporated in the BHA, it was able to maintain the signal throughout the run without signal quality issues. The signal achieved a frequency of 12 hertz with a 1.5 bps physical bit rate, allowing the operator to reach well depth at 3,886 meters (12,750 ft). In a horizontal well being developed by CACT Operators Group, a joint venture of Chevron, China National Offshore Oil Corp (CNOOC) and Agip Eni China, the DigiScope service was incorporated into a 6-in. lateral sidetrack to help geosteer the well through a thin layer (0.9 to 5 ft, or .3 to 1.5 meters) of sand. The service maintained 9 bps physical bit rate while drilling the 984-ft (300-meter) lateral with a signal strength of 21 psi at a pump pressure of 1,467 psi, enabling the delivery of resistivity measurements and images to place and steer the well. APS Technology crew members install an MWD string in a drill collar on a rig. The company’s SureShot MWD system includes pressure-while-drilling, propagation resistivity and weight, torque and bending on bit sensor options. 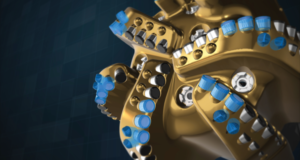 Another driver in the evolution of MWD/LWD technologies has been the industry’s move into harsher drilling environments characterized by high pressures, temperatures and vibration. Last year, APS Technology’s SureShot, an MWD system with rotary pulser, was used on a high-pressure, high-temperature (HPHT) well in China. The system enabled Sinopec Research Institute of Petroleum Engineering (SRIPE) to drill sections of a well in China’s Sichuan Basin with true vertical depth of 21,883 ft (6,670 meters), total depth of 24,869 ft (7,580 meters) and a 1,968-ft (600-meter) horizontal section. The MWD system performed in temperatures as high as 297°F (147°C) static and 280°F (138°C) circulating and pressures at more than 20,000 psi. “The rotary design of the pulser makes it very tolerant of high levels of lost circulation material and therefore more reliable,” said Brian Stroehlein, marketing director for APS. 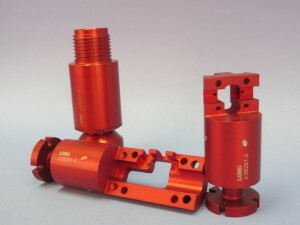 “For HPHT applications, we have repackaged the system using materials for our pressure barrels and centralizers that are more corrosion-resistant in hydrogen sulfide (sour gas) and high-chloride (salt) environments.” The system is designed to work in temperatures up to 350°F and pressures up to 25,000 psi. The new FALCON MWD, along with an environment-based tool maintenance program, was deployed on a pilot program in Q1 2013. 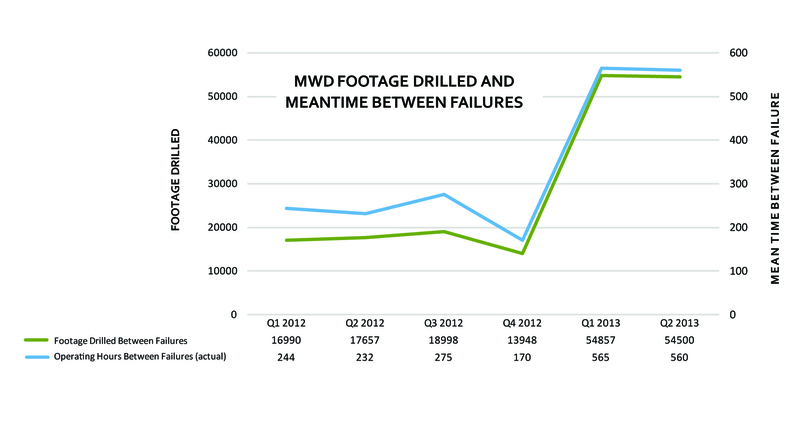 Compared with SDI’s legacy system that had been deployed through the previous year, the FALCON achieved higher footage drilled and higher meantime between failures. 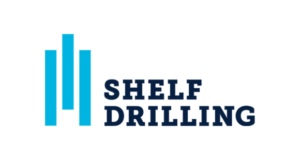 In fact, no failures have been experienced across more than two quarters and 110,000 ft of wellbore drilled, according to SDI. 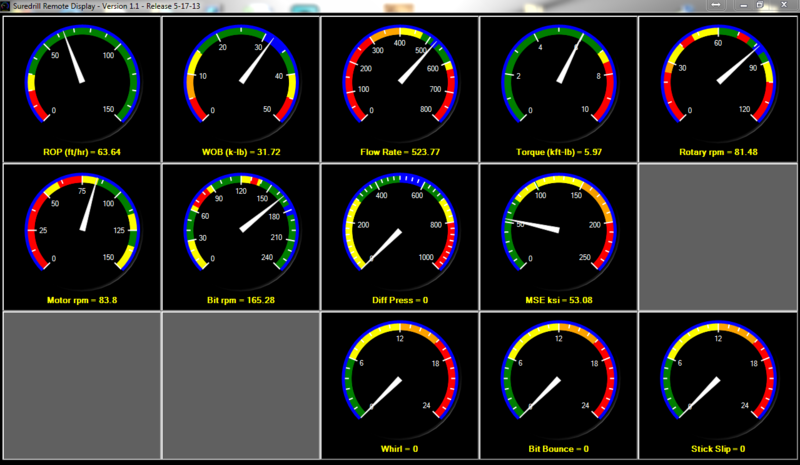 added pressure-while-drilling, propagation resistivity and weight, torque and bending on bit (WTB) sensor options. Optional vibration memory module software records and transmits vibration data either with a standalone MWD system or fed to the SureDrill system, a closed-loop drilling optimization service that provides real-time operating set points to maximize ROP and bit life under changing drilling conditions. So far, the system has been field-tested in six US land operations. 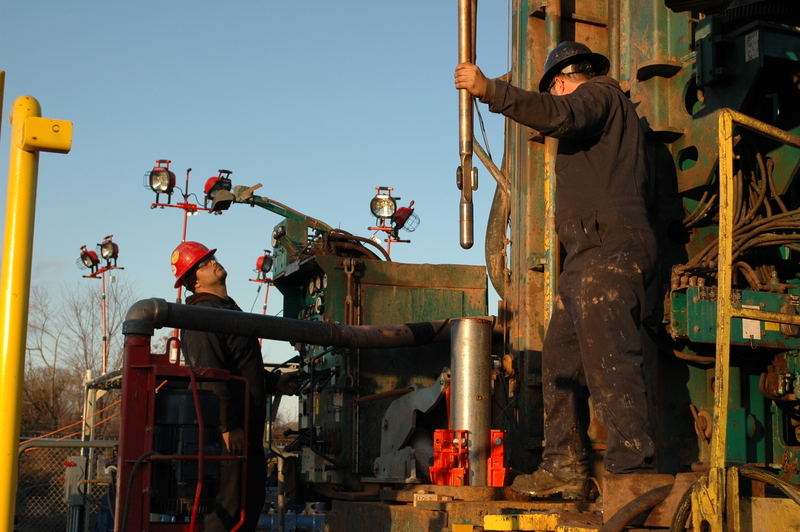 That mission, along with the trend toward drilling automation, has been significant in the development of AccuSteer, an MWD tool that does not require dedicated MWD personnel at the wellsite, with a surface system designed to enable remote monitoring and remote directional drilling. 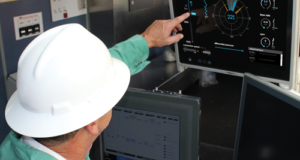 Most unconventional wells today are drilled using only gamma or resistivity measurement, he continued, and the addition of azimuthally sensitive measurements, such as azimuthal gamma, will enhance operators stay in the sweet spot. for electronics packages, including wireline tractors, to improve the reliability of its downhole tools. Customers have reported reliability rates on MWD tools increase from 80% to more than 90% using micromount isolators, according to the company. 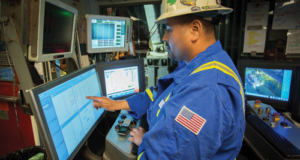 In the Bakken, operators using the new system have reduced drilling time from 20 days to an average of 8 to 10 days. The system also was tested in a pilot drilling program in Long Beach, Calif., in a sandy heavy oilfield where ROPs are high. To date, no failures have been reported with the system since deployment in Q1 2013, the company pointed out. Mr Norris also added that although the system is targeted for unconventional plays, it can also run offshore by adding or taking away LWD tools as needed. 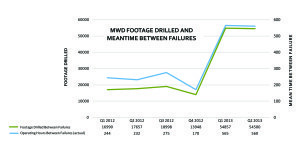 Shock and vibration have always presented challenges downhole, but the vibration levels encountered in today’s drilling operations can impact the reliability of MWD/LWD tools themselves. “The continual push to drill more quickly and drill deeper and longer laterals increases the occurrence of shock and vibration,” said Gregg Cune, business development manager for LORD Corp, a manufacturer of electronic vibration and motion control or dampening devices for downhole tools. 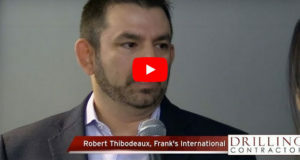 “For example, the Bakken, which features hard rock formations, is particularly brutal on downhole equipment, and MWD/LWD service providers want to protect their equipment from the harsh vibratory environment that comes with the use of agitators, EM telemetry and air drilling,” he said. In response to the need for greater reliability and lifespan of MWD/LWD electronics in the unconventional market, LORD has enhanced its isolator technology to enhance protection against shock and vibration. “Our isolator reduces the amount of load transmitted to the sensitive portions of the MWD tools, specifically the electronics and battery packages, in turn allowing the tools to last longer or be used in harsher environments,” explained John Smid, oil and gas engineering manager for LORD. 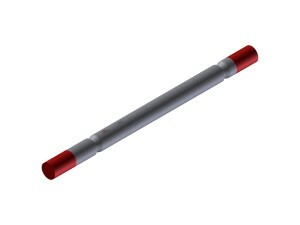 BoreSentry and SandSentry are trademarked terms of XACT Downhole Telemetry. DigiScope, Orion II, and PeriScope are marks of Schlumberger. SureShot, SureDrill and WPR are trademarked terms of APS Technology. TUF is a trademarked term of SDI.